We provide a wide range of urgent care services, occupational health services, physical exams, and diagnostic services. Our team of providers at AssociatesMD provides a wide range of urgent care services, occupational health services, physical exams, and diagnostic services and we are open 7 days a week: Monday – Friday 8 AM to 8 PM | Saturday and Sunday from 8 AM to 6 PM. Our doctors and nurse practitioners have years of experience and are well regarded in our community. 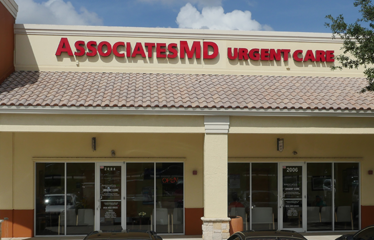 At AssociatesMD Urgent Care our top-quality services have earned us a reputation around Broward County as being both reliable and considerably affordable. AssociatesMD is a multi specialty medical practice based throughout Florida that specializes in Urgent Care, Primary Care, Cardiology, Neurology, Neuropathy, Podiatry and Weight Loss. 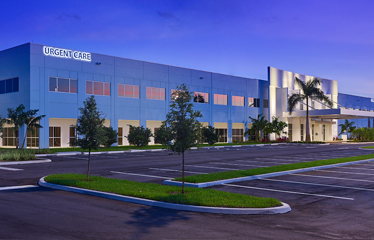 Come one and visit our state of the art urgent care facilities on Pembroke Pines or Cypress Creek. With our on-site lab, we have the capabilities to diagnose a near-infinite number of injuries and illnesses. We also accept the vast majority of popular insurance plans, making our center the most convenient and cost-effective urgent care clinic around!